A BBC documentary entitled “Royal Cousins at War” will be shown on BBC 2 this week. It explores how Europe’s Royal Relatives, despite ties of blood and marriage, ended up at war with each other. Part one is on Wednesday at 9pm and part two is on Thursday at 9pm. 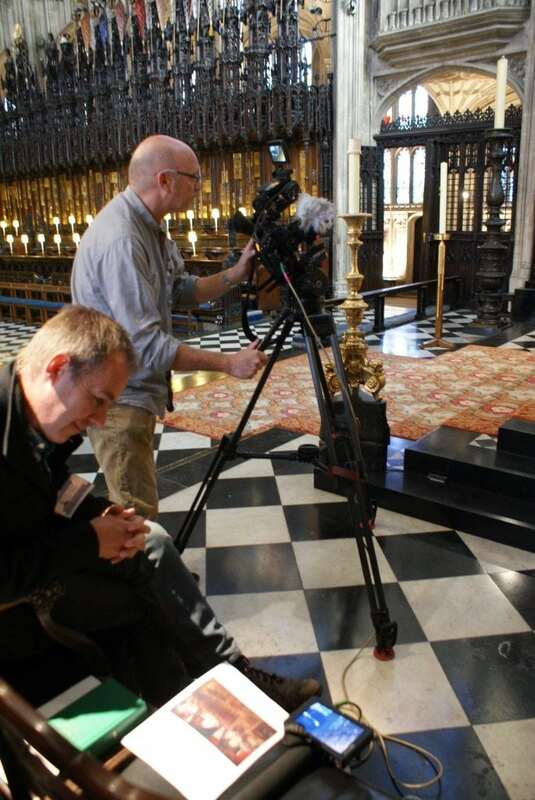 A short section of the documentary was filmed in St George’s Chapel; the photograph shows the film crew trying to get the same angle as Frith’s painting of the wedding of The Prince of Wales (later Edward VII) to Princess Alexandra of Denmark.